In Kriegszeiten können sich auch Rechtsstaaten mit langer Tradition von demokratischen Verfassungen relativ rasch in Polizeistaaten verwandeln. Verfassungsmäßig garantierte Grundrechte wie die Meinungsfreiheit oder die Versammlungsfreiheit werden stark eingeschränkt aufgrund der „Notwendigkeit“, Kriegshindernisse wie den Widerstand von KriegsgegnerInnen zu brechen. Ein wesentliches Ergebnis des Feldzugs gegen die US-amerikanische Arbeiterbewegung und andere Kriegsgegner war der sogenannte „Espionage Act“ von 1917. Dieses Strafgesetz ist immer noch in Kraft. Aufgrund dieses Gesetzes soll der ehemalige NSA-Mitarbeiter und Whistleblower Eduard Snowden angeklagt werde n, Chelsea Manning wurde aufgrund des Gesetzes verurteilt. In praktisch allen europäischen Staaten, egal wie alt (z.B. Großbritannien) oder wie jung (z.B. Deutschland) ihre Traditionen der parlamentarischen Kontrolle der Regierung und der demokratischen Verfassungen im Jahr 1914 auch immer gewesen sein mögen, wurden mit Kriegsbeginn im Sommer 1914 nach und nach viele, von der Verfassung garantierte Grundrechte wie die Versammlungsfreiheit oder die Meinungsfreiheit bis auf weiteres außer Kraft gesetzt. Es herrschte ein Ausnahmezustand. In Österreich wurde der Regierung mit dem „kriegswirtschaftlichen Ermächtigungsgesetz“ ermöglicht, sämtliche Entscheidungen autoritär, das heißt ohne Zustimmung des „Reichsrats“ (= Parlaments), zu treffen. In Deutschland gingen viele Entscheidungsbefugnisse von der Regierung auf die oberste Heeresleitung unter der Führung von Feldmarschall Hindenburg über. Spätestens seit Ende 1914, als sich der deutsche Regierungschef Bethmann Hollweg beunruhigt darüber zeigte, dass der Krieg noch nicht – wie versprochen – mit einem Sieg geendet hatte, wurden wichtige Entscheidungen alleine von der obersten Heeresleitung getroffen. Am Beispiel der USA kann beispielhaft gezeigt werden, dass sich in Kriegszeiten ein Verfassungsstaat und damit ein Rechtsstaat mit langer Tradition – „die älteste Demokratie der Welt“ – relativ rasch in einen Polizeistaat verwandeln kann, in dem verfassungsmäßig garantierte Grundrechte stark eingeschränkt werden. Ursache dafür war der massenhafte politische – zu Beginn äußerst wirksame – Widerstand der US-amerikanischen Arbeiterbewegung gegen den Eintritt der USA in den Weltkrieg. Ein wesentliches Ergebnis des Feldzu gs gegen die Kriegsgegner war der sogenannte „Espionage Act“ von 1917. When he was elected in 1912, President Woodrow Wilson promised that the United States would stay neutral in the case of a European conflict. When the war broke out in 1914 he said: „There is such a thing as a nation being too proud to fight.“ But in April of 1917, the Germans had announced they would have their submarines sink any ship bringing supplies to their enemies („uneingeschränkter U-Bootkrieg“); and they had already sunk a number of merchant vessels. Wilson now said he must stand by the right of Americans to travel on merchant ships in the war zone. According to historian Howard Zinn, it was unrealistic to expect that the Germans should treat the United States as neutral in the war when the U.S. had been shipping great amounts of war materials to Germany’s enemies. In 1915, the British liner Lusitania was torpedoed and sunk by a German submarine, causing the deaths of 1,198 people, including 124 Americans. The United States claimed the Lusitania carried an innocent cargo. Actually, the Lusitania had carried thousands of cases of shells and other war materials. Her manifests were falsified to hide this fact, and the British and American governments lied about the cargo. There were substantial „economic necessities“ behind U.S. President Wilson’s decision to enter the war in 1917 as well. In 1914, a serious recession had begun in the United States, the industries were working far below capacity. But by 1915, war orders for the Allies (mostly GB) had stimulated the economy, and by April 1917 more than $2 billion worth of goods had been sold to the Allies (“Entente-Mächte”). GB had also become a market for American loans at interest. The J.P. Morgan bank was lending money in such great amounts as to both make great profits and tie American finance closely to the interest of a British victory in the war against Germany. 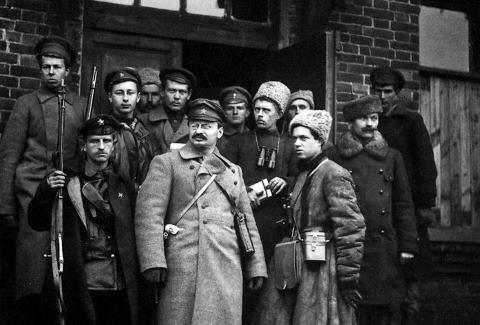 Since February 1917, when a Revolution started in Russia, it became increasingly unclear who would win the War. But U.S.-American troops were badly needed on the Western front as well. From September 1914 onwards, the battle lines had remained virtually stationary in France for three years. Each side would push forward, and then back, then forward again- for a few yards, a few miles, while the corpses piled up. From the first days of the war, the killing started very fast, and on a large scale. In August 1914, a volunteer for the British army had to be 5 feet 8 inches to enlist. By October 1914, the requirement was lowered to 5 feet 5 inches. That month there were thirty thousand British casualties, and then one could be 5 feet 3 inches. In the first three months of war, almost the entire original British army was wiped out. Mutinies (Meuterei) were beginning to occur not only in the Russian, but in the French armies as well. In 1917, out of 112 divisions, 68 would have mutinies (one division has between 10.000 and 20.000 soldiers). „Wie wird die Welt regiert und in den Krieg geführt? Diplomaten belügen Journalisten und glauben es, wenn sie’s lesen“, notierte der Wiener Schriftsteller Karl Kraus, nachdem auf eine Falschmeldung der deutschen und österreichischen Presse über einen französischen Bombenabwurf auf Nürnberg Ende Juli 1914 unmittelbar die Kriegserklärung an Frankreich erfolgt war. Eric Hobsbawm (1917 – 2012) was a British historian of the rise of industrial capitalism, socialism and nationalism. His best-known works include The Age of Extremes 1914 -1991 on what he called „the short 20th century“ and his trilogy about what he called „the long 19th century“: The Age of Revolution: Europe 1789-1848, The Age of Capital: 1848-1914 and The Age of Empire: 1875-1914. He introduced the influential idea of „invented traditions. The argument of this book […] begins with the First World War, which marked the breakdown of the (western) civilization. of the 19th century. This civilization was capitalist in its economy, liberal in its legal and constitutional structure, bourgeois in the image of its characteristic hegemonic class; glorying in the advance of science, knowledge and education, material and moral progress. [It was] profoundly convinced of the centrality of Europe, birthplace of the revolutions of sciences, arts, politics and industry, whose economy had penetrated, and whose soldiers had conquered and subjugated most of the world. European populations had grown until they had risen to form a third of the human race (including the vast and growing outflow of European emigrants and their descendants). 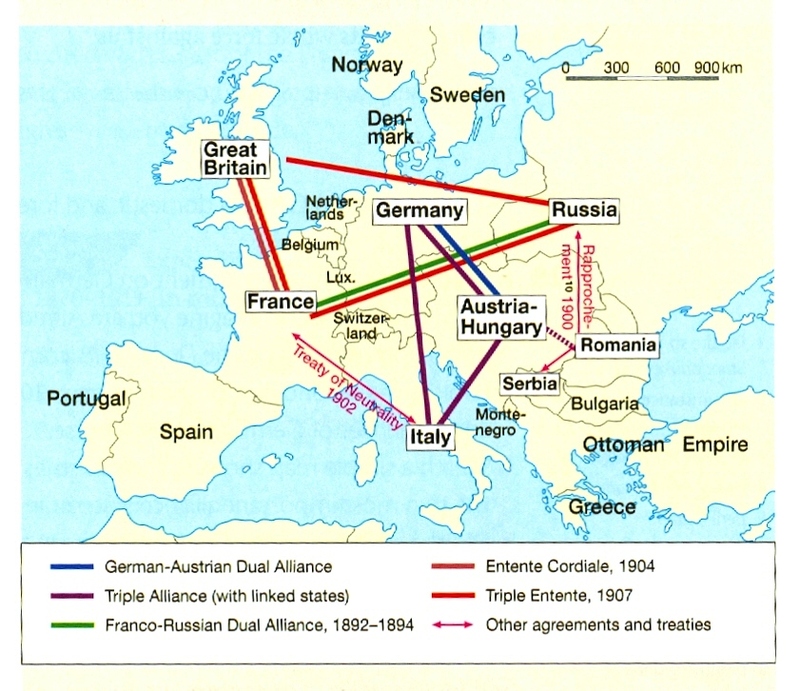 European major states consisted the system of world politics. The importance of the USA was growing though, becoming an “Empire of Trade” with its huge corporations like Rockefeller’s Standard Oil Company. The period up to the First World War had seen unchecked levels of industrialization and economic development. With Henry Ford’s invention of the production line (conveyer belt), production capacity rose to levels that the early industrialists could not dream of. 19th century Europe was the place and the period in history that had established the notion of „civilized warfare“ – written down in the Hague Conventions of 1899 and 1907 (Haager Konvention). 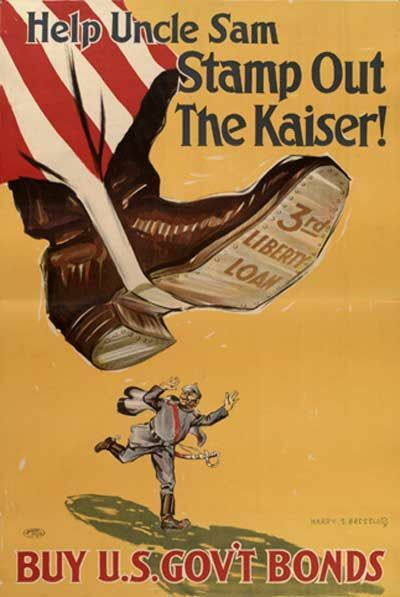 According to an article on „war“ in the Encyclopedia Britannica of 1911, civilized warfare „is confined, as far as possible, to the disablement of the armed forces of the enemy; otherwise war would continue till one of the parties was exterminated.“ The First World War was started with the previous and explicit warnings issued by governments in the form of a „declaration of war“. It was the last war that ended with the formal treaty of peace negotiated between the belligerent states. In the 19th century, the length of wars was measured in months or even in weeks, like the 1866 war between Prussia and Austria. The largest European war of the 19th century, the war between Prussia and France 1870/71, killed an estimated 150,000, although there was the American Civil War (1861-1865) with more than 700.000 dead soldiers. In the 20th century, the number of people killed in wars rose significantly, starting with 10 million dead soldiers and millions more mutilated and traumatized in World War I. The 20th century was, more than any other century in human, marked by war. It lived and thought in terms of war, even when the guns were silent and the bombs not exploding. After 1945, there was the common feeling of an ongoing „cold war“ with two superpowers developing ever more deadly nuclear weapons. 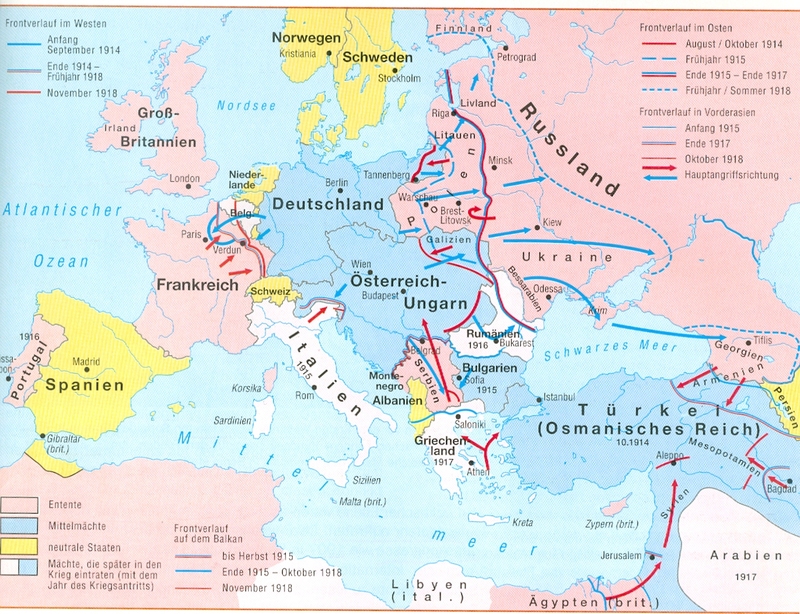 The First and the Second World War shook Europe within the period of around 30 years: 1914-1945. Both world wars were followed by waves of global rebellion and revolution. These revolutions brought to power communist parties aiming at ending capitalist economy (“private enterprise”), replacing it with a planned economy and the establishment of communism, first over one sixth of the world’s land surface (Soviet Union), and after the Second World War over one third of the globe’s population (Eastern and Central Europe, China). Communism claimed to be the historically predestined alternative to bourgeois society and capitalist economy. The huge colonial empires – the British and the French – built up in the latter half of the „long 19th century“, were shaken in World War I and II and finally crumbled in the 1950s and 1960s. The entire history of European colonial imperialism, so self-confident when Queen Victoria of Great Britain died in 1901, had lasted no longer than a single lifetime – say that of Winston Churchill (1874 – 1965). It was the temporary and bizarre capitalist communist alliance of World War II that saved democracy in the 20th century. In the wake of the Great economic Depression in the 1930s, the institutions of liberal democracy virtually disappeared from all but a fringe of Europe and parts of America and Australia, as fascism and its satellite authoritarian regimes and dictatorships advanced. Only the temporary and bizarre alliance of liberal capitalism and communism in self-defence against this challenge by fascism saved democracy, for the victory over Hitler’s Germany was essentially won, and could only have been won, by the Red Army. The victory of the Soviet Union over Hitler was the achievement of the regime installed by the Russian October Revolution. A comparison of the performance of the Russian Tsarist economy and army in the First World War and the Soviet economy and the Red Army in the Second World War demonstrates this fact. Had Hitler conquered the Soviet Union, he would have ruled a territory from the Atlantic to Wladiwostok. Without the Red Army, the Western states after the Second World War – outside of America and Australia – would probably have consisted of a set of variations on authoritarian and fascist regimes rather than a set of variations on liberal parliamentary ones. It is thus one of the ironies of the 20th century – the Age of Extremes – that the most lasting result of the October revolution, whose object was the global overthrow of capitalism, was to save its antagonist, both in war and in peace. It did so by providing capitalism with the incentive, fear, to reform itselves after the Second World War, with one result being systems of social security, another one economic reforms according to the Keynesian theory (-> Keynesianismus). And yet, as we can see in retrospect, the strength of the global socialist/communist challenge to capitalism was that of the weakness of its opponent. Without the breakdown of 19th century bourgeois society as a result of World War I, there would probably have been no October revolution and no USSR. It was the Great Depression of the 1930s that made the USSR look like a realistic global alternative to the capitalist economy. And it was the challenge of fascism which made the USSR into the indispensable instrument of Hitler’s defeat, and therefore into one of the two superpowers whose confrontation dominated the second half of the 20th century. These: Der Erste Weltkrieg ist ein wichtiger Wendepunkt in der Geschichte des 20. Jahrhunderts – und in weiterer Folge der Weltpolitik bis heute. Warum? Im Ukraine-Konflikt erleben wir eine Frontstellung des „Westens“ – NATO, USA und EU – gegen Russland (und China), diese erinnert sehr an diejenige des Kalten Krieges, als sich der Westen (Mitliärbündnis NATO) in einer Konfrontation mit der Sowjetunion befand. Grundlage dieser historischen Ost-West-Konfrontation war die Konkurrenz zwischen Kapitalismus („freie Marktwirtschaft“) in den USA, Japan und Westeuropa und der staatssozialistischen Planwirtschaft ohne Privateigentum an Unternehmen in China, der Sowjetunion und dem Warschauer Pakt („Ostblock“). Wie ist es zu dieser scheinbar selbstverständlichen Frontstellung Westen vs. Russland gekommen? Diese geht auf den Ersten Weltkrieg und die durch ihn verursachten epochalen Veränderungen zurück. Am Beginn des Ersten Weltkriegs stand eine Allianz aus Großbritannien, Frankreich und Russland – die Entente – den Mittelmächten Deutschland, Österreich-Ungarn und Osmanisches Reich gegenüber. Das ist heute anders – Warum? Ohne den Ersten Weltkrieg hätte es keine Oktoberrevoluton 1917 in Russland gegeben: Der Erste Weltkrieg hat die Voraussetzungen für die Oktoberrevolution und damit die Etablierung eines „Staatssozialismus“ mit (bürokratischer) Planwirtschaft in der Sowjetunion geschaffen. Ohne Niederlage Deutschlands im Ersten Weltkrieg hätte es keinen Aufstieg des Faschismus und Hitlers in Deutschland – und damit den Zweiten Weltkrieg in dieser Form – gegeben. Ohne Ersten (und Zweiten) Weltkrieg hätte es keinen Aufstieg der USA – in dieser Art und Weise – zur ökonomischen, politischen und militärischen Weltmacht und den Sieg der USA gegen Japan gegeben. Ohne kommunistische Sowjetunion hätte es keinen Sieg gegen das anti-kommunistische Projekt der faschistischen Weltherrschaft – angeführt vom Nationalsozialismus in Hitler-Deutschland – gegeben. Hätte Hitler die Sowjetunion 1941-42 besiegt, wäre er von den USA militärisch wahrscheinlich nicht mehr zu besiegen gewesen. Ohne den Sieg der sowjetischen Roten Armee gegen die Wehrmacht (Wendepunkt im Februar 1943 in Stalingrad – heute Wolgograd), d.h. ohne Sieg der Sowjetunion gegen Hitler-Deutschland hätte es folglich keine Demokratie in Westeuropa als Resultat des 2. Weltkriegs gegeben. Der Sieg Hitler-Deutschlands wäre nicht einfach nur ein Sieg Deutschlands gewesen, so wie der Erste Weltkrieg ein Sieg Frankreichs und Großbritanniens war. Der Sieg Hitler-Deutschlands gegen die Sowjetunion wäre ein Sieg des Faschismus in Europa und großen Teilen Asiens gewesen. Der Zweite Weltkrieg hätte dann wahrscheinlich mit der Etablierung einer faschistischen Weltmacht vom Atlantik bis Wladiwostok unter Führung Hitler-Deutschlands geendet. Statt dem Ost-Westkonflikt wäre eine Frontstellung einer deutsch-japanischen Allianz gegen die USA (und GB) als alternatives Ergebnis des Zweiten Weltkriegs möglich gewesen – so wie in George Orwells „1984“: Ozeanien gegen Eurasien. Ohne Niederlage Hitler-Deutschlands und Sieg der Sowjetunion im Zweiten Weltkrieg hätte es keine Teilung Europas (Eiserner Vorhang) und Deutschlands (Berliner Mauer) nach 1945 gegeben. Kurz: Ohne Erster Weltkrieg keine Berliner Mauer! Ohne den Ersten Weltkrieg hätte es kein – so rasches – Ende der europäischen Kolonialreiche (Großbritannien und Frankreich) und keine Regierung der Kommunistischen Partei in China gegeben. Denn ohne den Sieg der Sowjetunion im Zweiten Weltkrieg hätte es nach 1945 wohl nicht im selben Maß erfolgreiche – und kommunistisch dominierte – Befreiungsbewegungen in Lateinamerika (z.B. Cuba), Asien (z.B. China, Vietnam) und Afrika gegeben. Es handelt sich hier um (Hypo-)Thesen und nicht um naturwissenschaftliche Erkenntnisse und Gesetzmäßigkeiten. Die Beschäftigung mit Geschichte sollte immer im Auge behalten, dass ebendiese Geschichte auch anders verlaufen hätte können, sowohl „positiver“, als auch „negativer“, je nach Sichtweise. Wäre es nicht so, dann hätte die Beschäftigung mit Geschichte viel weniger Sinn. Dann wäre die Geschichte bis zum heutigen Tag eine Entwicklung, die ohnehin so gekommen wäre, zu der es ohnehin keine Alternative gegeben hätte. Es hat in der Geschichte aber immer wieder Zeitpunkte gegeben, an denen es zu epochalen Veränderungen gekommen ist. Die These „Ohne den Ersten Weltkrieg hätte es keine Oktoberrevoluton 1917 in Russland gegeben“ bedeutet NICHT, dass der Sieg der Oktoberrevolution und der kommunistischen Partei in Russland im Ersten Weltkrieg naturgesetzmäßig eingetreten ist. Die Oktoberrevolution muss aus dem Ersten Weltkrieg heraus verstanden werden. Aber sie hätte auch in einer Niederlage enden können und die Weltgeschichte hätte einen anderen Verlauf genommen. Auf der anderen Seite hätte sich die Revolution aber auch von Russland aus auf das westliche Europa ausbreiten können, dann hätte die Weltgeschichte wiederum einen anderen Verlauf genommen – vermutlich kein Hitler-Deutschland und keinen Zweiten Weltkrieg, jedenfalls nicht in derselben Konstellation. Das sind dann schon drei potenziell grundlegend unterschiedliche Verläufe der Weltgeschichte, je nachdem, was im Ersten Weltkrieg passiert ist bzw. wäre. Einige Historiker sprechen inzwischen im Zusammenhang mit den beiden Weltkriegen von einem – zweiten – Dreißigjährigen Krieg. Beim ersten 30-jährigen Krieg von 1618 bis 1648 hatte es sich um eine Konfrontation von verschiedenen religiösen Richtungen gehandelt, dieser Konflikt war allerdings untrennbar mit dem Kampf um die militärische, wirtschaftliche und politische Hegemonie (= Vorherrschaft) in Europa verknüpft, wobei sich auch damals zwei Bündnisse, die katholische Liga und die protestantische Union, gegenüber standen. Zuletzt war die Auseinandersetzung im 30-jährigen Krieg – in manchen Regionen – auch mit dem Kampf um nationale Unabhängigkeit verknüpft. Der zweite 30-jährige Krieg dauerte zwar ein Jahr länger, von 1914 bis 1945, und es war auch kein Religionskrieg. Es war allerdings ebenfalls ein Krieg, bei dem die militärische, politische und wirtschaftliche Hegemonie (= Vorrangstellung) auf dem Spiel stand. Es standen sich ebenso zwei Bündnisse gegenüber. An die Stelle der religiösen Differenzen war im 20. Jahrhundert die ideologische Auseinandersetzung getreten. Mit ideologischen Gegensätzen sind unterschiedliche, einander bekämpfende politische und gesellschaftliche Weltanschauungen gemeint. Die Frage der nationalen Unabhängigkeit war im zweiten 30-jährigen Krieg ebenfalls von großer Bedeutung, sei es in Irland, im vom Zarenreich beherrschten Polen oder in Österreich-Ungarn, wo Tschechen und Slowaken ebenso wie Slowenen und Kroaten nach nationaler Selbstbestimmung und staatlicher Unabhängigkeit strebten. Sind die Regierungen in Europa versehentlich, wie Schlafwandler, in den Weltkrieg gestolpert, obwohl sie gar keinen Krieg wollten? Ein jüngst erschienenes Buch des Historikers Christopher Clark vertritt die These, dass die europäischen Regierungen wie „Schlafwandler“ in den Krieg stolperten. Durch die Metapher des Schlwafwandlers gerät leicht Tatsache aus den Augen, dass die europäischen „Schlafwandler“ jahrzehntelang – in wachem Zustand – eine Politik des Nationalismus, der imperialistischen Expansion und des militaristischen Wettrüstens betrieben haben. Auch wenn es für die Bevölkerung Afrikas vielfach zu einem Albtraum wurde, so sind die europäischen Mächte in den Jahrzehnten vor dem 1. Weltkrieg dennoch nicht im Schlaf nach Afrika gestolpert und haben dabei den ganzen Kontinent erobert. Schwer vorstellbar weiters, dass die europäischen Regierungen schlafend das Wettrüsten betrieben haben. Die Regierungen haben jedenfalls nicht verschlafen, rechtzeitig die Aufträge zum Bau immer neuer Kriegsschiffe und immer neuer und immer größerer Artilleriewaffen zu erteilen. 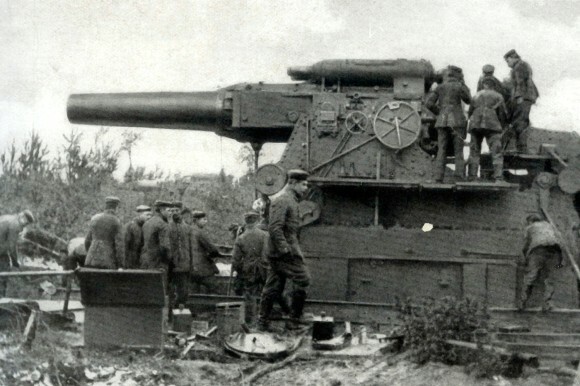 Spätestens im März 1914, nach der Fertigstellung der neuen deutschen „Wunderwaffe“, der 150 Tonnen schweren Artilleriewaffe „Dicke Bertha“, war die deutsche Regierung ausgeschlafen und gefechtsbereit. SARAJEVO UND DER KRIEGSAUSBRUCH: Verursachte das Attentat von Sarajevo den „Ausbruch“ des Ersten Weltkriegs? „Denn die Schüsse von Sarajevo setzen im Epochenjahr 1914 einen Mechanismus in Gang, der die europäischen Mächte in den grausamsten Krieg stürzt, den die Menschheit bis dahin erlebt hat.“ So wird der „Ausbruch“ des Ersten Weltkriegs in einer GEO-Spezial-Dokumentation erklärt. Die in Gang gesetzten „Mechanismen“ legen die Vorstellung nahe, dass die Menschen, egal ob Regierungschef oder einfacher Staatsbürger, machtlos waren. Der Ausbruch des Krieges wird damit in die Nähe eines Vulkanausbruchs oder einer anderen Naturkatastrophe gerückt. Wieso zieht aber nicht jedes Attentat einen Krieg mit mehreren Millionen Toten nach sich? Oder warum war nicht das Attentat vom 31. Juli 1914 auf den französischen Kriegsgegner und sozialistischen Parteichef Jean Jaurès die „Ursache“ für den Ausbruch des Weltkrieges? Mit den „Schüssen von Sarajevo“, die den österreichischen Thronfolger Franz Ferdinand und seine Gattin töteten, und die vom serbischen Nationalisten Gavrilo Princip abgegeben worden waren, rückt auf jeden Fall die Verantwortung der Regierung von Österreich-Ungarn mit ihrer Kriegserklärung an Serbien aus dem Blickfeld. Aus dem Blickfeld rückt übrigens auch die Tatsache, dass der Attentäter Cabrinovic, der zuerst erfolglos eine Bombe auf das Fahrzeug geworfen hatte, österreichischer Staatsbürger war. Aus dem Blickfeld rückt weiters die Tatsache, dass die österreichische Polizei in Sarajevo so nachlässig bei den Sicherheitsvorkehrungen für die Fahrt durch die Stadt gewesen war. Wenn im Zusammenhang mit dem Ausbruch des Ersten Weltkriegs das Attentat von Sarajevo einen prominenten Platz einnimmt, dann müsste zumindestens hinzugefügt werden, dass Sarajevo die Hauptstadt von Bosnien-Herzegowina war (und bis heute ist), die Hauptstadt von dem Land also, das im Jahr 1908 völkerrechtswidrig von Österreich-Ungarn annektiert (angegliedert) worden war. Dieser Umgang mit Brüchen des Völkerrechts lässt sich bis in die jüngste Vergangenheit beobachten: Völkerrechtsbrüche werden in der Regel zwar beim „bösen Feind“ wahrgenommen, aktuell bei Russlands Annexion der Krim im Frühjahr 2014. Die „eigenen“ Völkerrechtsbrüche (z.B. der NATO-Krieg gegen Jugoslawien 1999) und Eroberungskriege (Afghanistan, Irak) werden nicht als solche benannt, sondern sind z.B. „friedenserhaltende Maßnahmen“ oder sogenannte „Präventivschläge“, also „vorbeugende Maßnahmen“ gegen den Terrorismus. In dem etwa zu gleichen Teilen von Moslems sowie von katholischen Kroaten und orthodoxen Serben – sowie einer jüdischen Minderheit – bewohnten Bosnien-Herzegowina (Hauptstadt Sarajevo) hatte es schon jahrelangen Widerstand gegen die einheimischen Feudalherren und Adeligen sowie die mit ihnen verbündeten Habsburger gegeben. Es war jedenfalls die Regierung von Österreich-Ungarn, die „von dem schönen Vorrechte des Stärkeren Gebrauch gemacht“ und in den Jahren vor dem Ersten Weltkrieg eine Politik der Expansion auf dem Balkan verfolgt hat, mit dem Ziel, den Einfluss Russlands und seines Verbündeten Serbien, zurückzudrängen. Wer von dem „schönen Vorrecht des Stärkeren“ gebrauch macht, das kann man aktuell im Zusammenhang mit dem westlichen Engagement in der Ukraine auch sehr gut beobachten, sollte sich auf die Ausbrüche „erbittertsten Hasses“ gefasst machen, ob ihm das als „Stärkerem“ passt oder nicht. Als Reaktion auf die Expansionspolitik der Habsburger erhielten Bewegungen für das Selbstbestimmungsrecht der nicht-deutschsprachigen Völker auf dem Balkan Zulauf. Dazu zählte der serbische Nationalismus ebenso wie der sogenannte „Panslawismus“, der einen Zusammenschluss der slawisch-sprachigen osteuropäischen Völker unter Führung Russlands anstrebte. Der von der österreichischen Regierung nicht ungern gesehene anti-serbische Chauvinismus erreichte in der Parole „Serbien muss sterbien“ einen prägnanten und von Karl Kraus in seinem Werk „Die letzten Tage der Menschheit“ literarisch verarbeiteten Ausdruck. In der Dokumentation von Andreas Novak „Kaiser Franz Joseph und der Erste Weltkrieg“ wird dargestellt, dass einflussreiche Mitglieder der k.u.k. Regierung – z.B. der Außenminister Graf Berchthold und der Ministerpräsident Graf Stürgkh – um jeden Preis einen Krieg gegen Serbien führen wollten und nur auf eine passende Gelegenheit warteten. Deshalb wurde der Regierung von Serbien ein Ultimatum gestellt, das mehrere Punkte enthielt, welche die Souveränität Serbiens verletzten. Dennoch wurde das Ultimatum bis auf einen Punkt akzeptiert. Der eine Punkt war: Österreichische Polizeibeamte sollten auf dem Staatsgebiet von Serbien völlig freie Hand erhalten – sprich z.B. Verhaftungen durchführen – etwas, was heute selbst innerhalb der EU nicht möglich wäre. 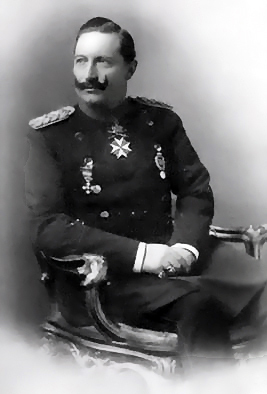 „Damit fällt jeder Kriegsgrund fort“, meinte der deutsche Kaiser Wilhelm. Die überwältigende Zustimmung der serbischen Regierung zu den Punkten des Ultimatums stellte also selbst für die deutsche Regierung keinen ausreichenden „Grund“ dar, um Serbien den Krieg zu erklären. 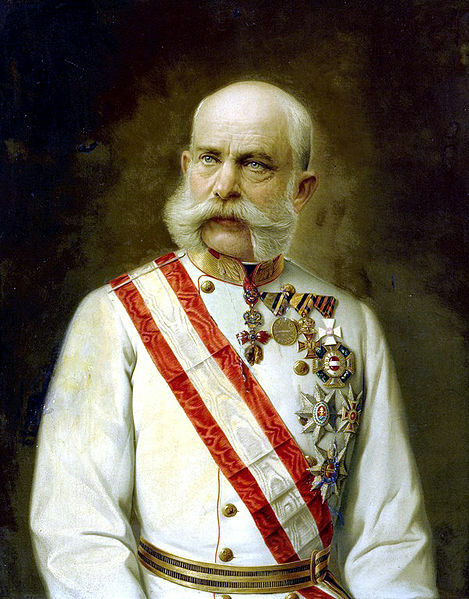 Selbst ein österreichischer Regierungsberater, Graf Tisza, meinte in einem Schreiben an den Kaiser Franz Joseph, dass ein Angriff auf Serbien ein „verhängnisvoller Fehler“ wäre, da „wir bisher keine genügenden Anhaltspunkte haben, um Serbien verantwortlich machen zu können.“ Bei Leuten, die sich mit der an „verhängnisvollen Fehlern“ reichen Geschichte Österreichs nicht kritisch auseinandersetzen wollen, ist die Erklärung des Kriegsausbruchs durch die „serbischen“ Schüsse von Sarajevo gerade deshalb so populär. Die österreichische Regierung erfand einen Angriff der serbischen Armee auf die Truppen der österreichischen Monarchie und verbreitete diese Falschinformation. Dieser Überfall der serbischen Armee hat in Wirklichkeit nie stattgefunden. Interessant ist dabei insbesondere die Tatsache, dass diese Falschmeldung durch die österreichische Regierung heute so gut wie unbekannt ist. Aber gerade deshalb spricht der aufgebrachte Wiener im August 1914 in „Die letzten Tage der Menschheit“ von Karl Kraus davon, dass es sich um einen „heilingen Verteilungskrieg“ von Österreich-Ungarn handelt. Erfundene Überfälle zählen inzwischen allerdings zum Standardrepertoire, wenn es darum geht, den Beginn eines Angriffskrieges zu rechtfertigen. Und wenn es keinen feindlichen Überfall gibt, dann wird zumindest die – mehr oder weniger reale Aggression von außen betont. Auch gegenwärtig sieht sich der „Westen“ und die NATO einer aggressiven Bedrohung durch Putins Russland ausgesetzt, ist selbst aber komplett friedfertig und möchte nur das Beste für die Ukraine – sie z.B. zu einem Mitglied der NATO machen. NATO-Generalsekretär Rasmussen rät inzwischen dringend zu einer Erhöhung der Rüstungsausgaben der NATO-Mitglieder. Warum verhielt sich die italienische Regierung bei Kriegsbeginn neutral? Im Gegensatz zur Regierung von Italien wurde die deutsche Regierung von den österreichischen Kriegsabsichten informiert. Die Regierung des ursprünglich mit den Mittelmächten verbündeten Italien hingegen wurde vor vollendete Tatsachen gestellt. Nachdem Italien von Österreich nicht über den Beschluss, Serbien anzugreifen, informiert worden war, erklärte die italienische Regierung, dass keine Bündnispflicht bestehe. Der wesentlich wichtigere Grund war jedoch die Tatsache, dass sich in Italien nicht nur die Sozialisten, sondern auch die Liberalen – die im Parlament einflussreichste Partei – gegen einen Kriegseintritt ausgesprochen hatten. Während sich in anderen Ländern schon seit 1915 die Stimmen gegen den Krieg vermehrten, passierte in Italien das umgekehrte. Niemand geringerer als der Begründer des Faschismus, Benito Mussolini, der bisherige Sozialist und spätere Führer der bewaffneten, rechts-extremen „fasci di combattimento“, gründete 1915 eine eigene Zeitung, die für den Kriegseintritt warb. Im Mai 1915 erklärte der italienische König gegen den Willen der Parlamentsmehrheit, also in einer Art Staatsstreich, den Eintritt in Italiens in den Krieg auf Seiten der Entente, nachdem diese Italien Gebietszuwächse, z.B. die Brennergrenze und Istrien, auf Kosten von Österreich-Ungarn versprochen hatte. Im folgenden eine Dokumentation über „Aufstieg und Fall“ des Revolutionärs Leo Trotzki, mit Schwerpunkt auf der russischen Revolution und die Entwicklung der Sowjetunion unter Stalin. Die Doku wurde vom Sender ARTE mitproduziert. 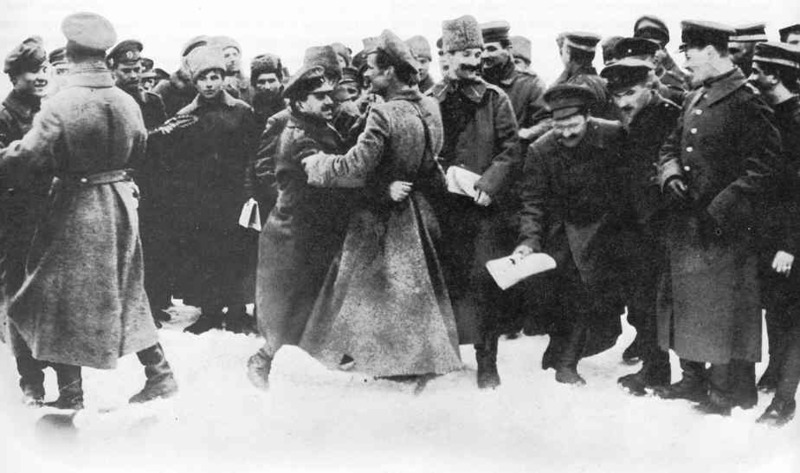 The February Fevolution took place in the context of heavy military setbacks during the First World War (1914–18), which left much of the Russian army in a state of mutiny. By February 1917, around 2.5 Million Russian soldiers had lost their lives on the battlefield, millions more were injured. Reports of fraternization between Russian and German soldiers circulated. Workers, many of them women who had replaced male workers, went hungry, lacked shoes and clothes. For International Women’s Day (March 8th = February 23rd), workers went on strike in virtually every industrial enterprise in Petrograd and demonstrations were organized to demand bread. 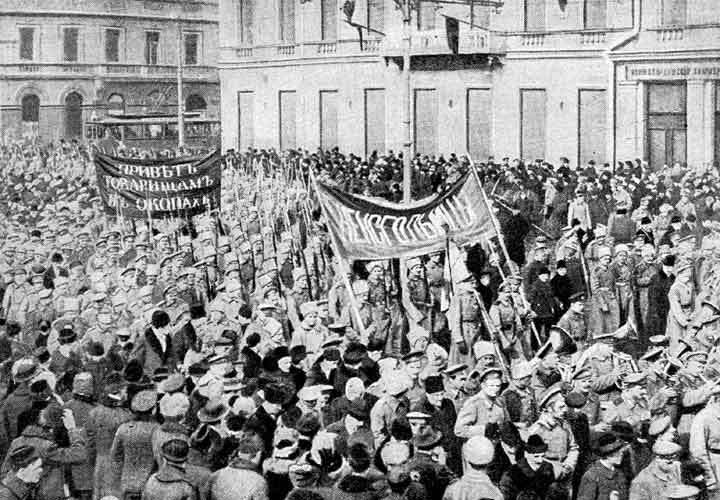 When Tsar Nicholas II ordered the army to suppress the demonstrations, troops began to mutiny and soldiers joined the workers‘ demonstrations. Tsar Nicholas was forced to step down and the old regime was replaced by a provisional government with Ministers from liberal parties. Male and female workers and peasants as well as soldiers elected their own workers‘, peasants‘ and soldiers‘ councils, called “Soviets” in Russian. A period of dual power ensued, during which the provisional government held state power while the Soviets started arming workers‘ militias and Red Guards that, in many cities, replaced the old police force. Although many soldiers were not willing to continue fighting in the war, the provisional government chose to continue the war on the side of the Entente. As a result, over the course of spring and summer 1917, public dissatisfaction with the government and the war grew. The Bolsheviks, a radical, revolutionary faction of the Social Democratic Party, were campaigning for „Peace, Bread and Land“. 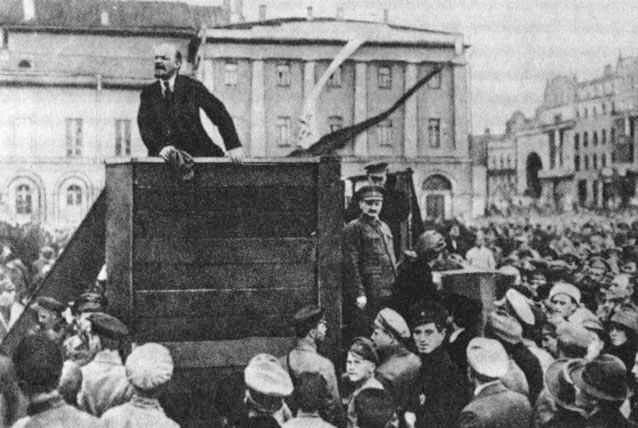 When the leader of the Bolsheviks, Vladimir Ilyich Lenin, arrived in Russia from his exile in Switzerland in April 1917, he called for turning over all power to the Soviets. The moderate Social Democrats were opposed to overthrowing the provisional government. The moderate Social Democrats had held the majority in most Soviets in the beginning. But the support for the Bolsheviks in the workers‘ and soldiers‘ councils increased steadily. 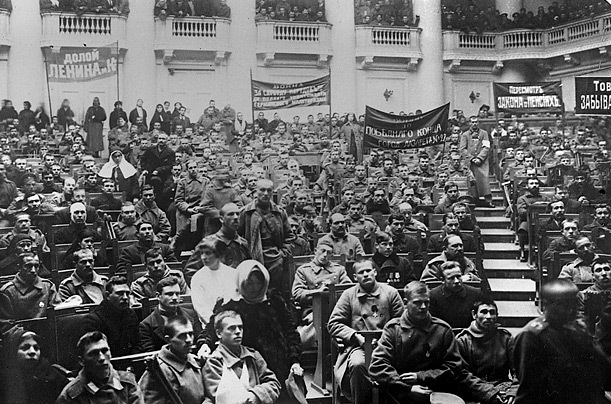 By September 1917, the Bolsheviks were in the majority in the workers‘ and soldiers‘ councils in Petrograd and Moscow. In the country-side it was the Social-Revolutionary Party („Narodniki“) who had the most support from the peasants‘. 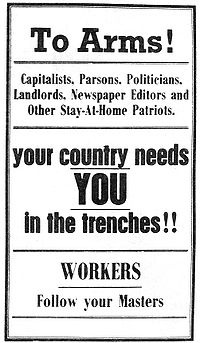 Also, a growing number of Social-Revolutionaries joined sides with the Bolsheviks in their call for turning all power over to the Soviets. The October Revolution ended the power of the Provisional Government. Power was taken over by the Congress of Workers‘, Soldiers‘, and Peasants‘ Deputies (= Soviets). The Congress passed a series of revolutionary decrees, starting with the decree on land, passed on 26 OctoberPro-Tsarist forces, supported by the governments of France, Great Britain, the U.S. and Japan, organized into the White Army and went to war against the Soviets‘ Red Army. Imperialism was the aggressive policy of the industrialized nations to gain control over the resources of distant countries, mainly in Africa, Asia and Latin America. At the end of the 18th century, Britain had lost its thirteen colonies in North America. In the latter half of the 19th century, however, a second wave of colonialization took place. Within a short period of time (1880-1900), almost every corner of the Earth was taken over by European powers. Some of the countries became colonies of the Imperialist powers. Africa saw the most aggressive colonization. It was divided between the European powers in a process that became known as „the scramble for Africa.“ The local native population of a colony was denied civil and political rights. Many natives lost their land as it was taken and given to European colonists. Many natives were forced to pay taxes and to work on the plantations. At the same time, many places in Asia were conquered by European powers as well. Some countries (for example China) remained independent states, but the imperialist governments controlled and dominated the countries‘ economic, political and cultural life to a great extent. At the same time, after Spain and Portugal had lost most of their colonies in South America as the South American nations gained independence, these states were coming under the growing influence of the U.S. government. Some non-European countries were forced to sign trading treaties with imperial powers that explicitly banned the development of a native industry. Within a short period of time, large parts of the world were dominated by European powers. 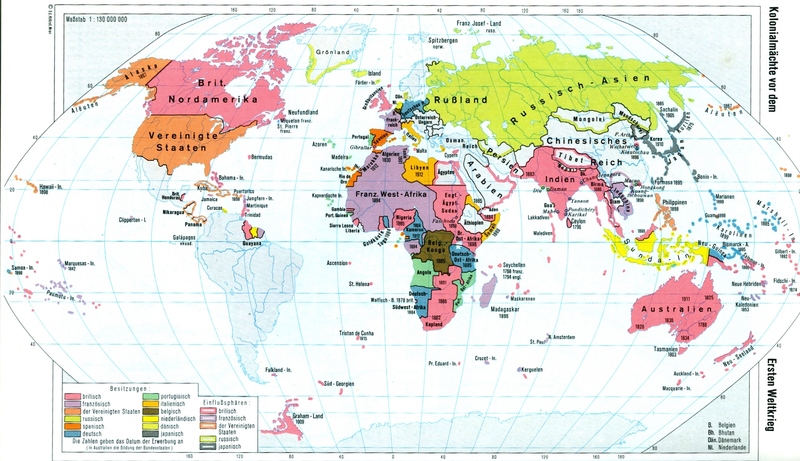 In the year 1830, around 200 million people lived in countries dominated by European powers. In 1880 the number had risen to more than 300 million and at the time of World War I the number was 550 million. Whereas knowledge, industrial production and wealth were concentrated in the „metropolitan“ nations of Western Europe and the US, the colonies were mainly supplying agricultural products like tea, coffee, sugar and cotton as well as metals and other raw materials. Capital was invested in building an infrastructure (for example rail roads) that was necessary to exploit the resources of the colonies. Racists argue that humans can be separated into so-called races and that all people of a race have the same innate characteristics. „Inferior“ races are attributed with inferior features and characteristics (laziness, lower intellectual capacity etc.) and these features are thought to be natural, immutable and global. Racism had first developed as an ideology to justify slavery in the modern period. White European people were constructed as a superior race of people, superior to people of colour and were therefore justified and right to enslave them. Still, it took a long time before this ideology was commonly accepted. In America, the concept of the African race having a lower status was not widely accepted before the 18th century. Many white Europeans had come to America as indentured servants and their status was only slightly better when compared to that of African slaves. Racism was strongly promoted in the 18th century in order to divide white and black people who had originally stood together in fighting for better living conditions against the powerful and rich elite in the Northern American colonies. 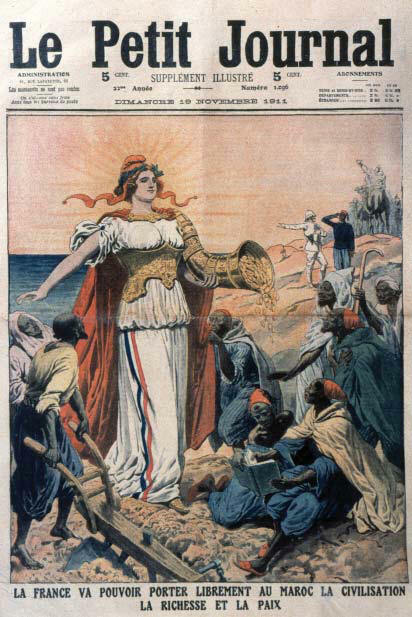 The racist ideology was further developed in the course of the 19th century in order to justify the conquests of European imperialist powers. Further, the continued segregation of people of European origin and people of colour in the United States was justified with racist ideology even after the institution of slavery had been abolished in the 1860ies.